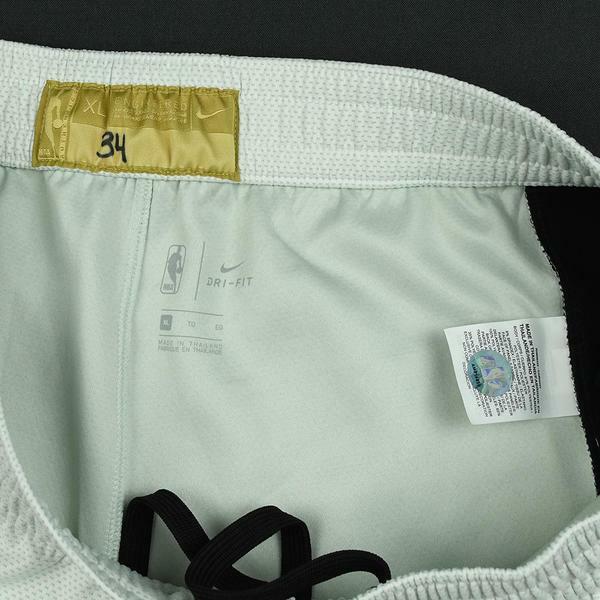 The NBA and MeiGray are proud to offer fans and collectors across the globe the opportunity to own a piece of history... a pair of pants prepared for use by #34 Shaun Livingston of the Golden State Warriors for Game 1 of the NBA Finals on May 31, 2018. 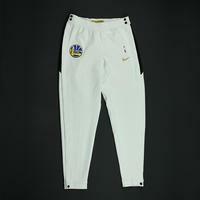 Livingston was to have worn this pair of warmup pants during the Warriors' 124-114 victory over the Cleveland Cavaliers in Game 1 of the NBA Finals on May 31, 2018 at ORACLE Arena in Oakland, CA. 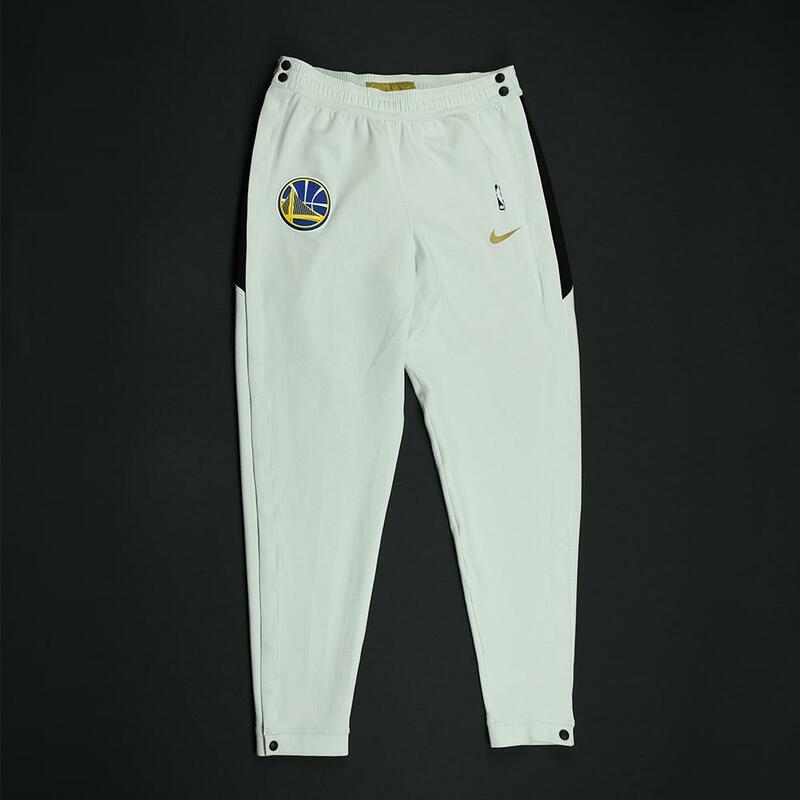 These game-issued Warmup Pants come from the set of Warmup Pants issued to the Golden State Warriors for Game 1 of the 2018 NBA Finals. The set was unable to be photo-matched due to the lack of available media, but the Warmup Jackets worn by Stephen Curry and Kevin Durant were photo-matched as Game-Worn. The Warriors delivered this set directly to the NBA & MeiGray Game-Worn Authentication Program immediately after the conclusion of the NBA Finals. 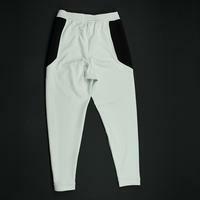 This white pair of pants, a Size XL, is registered into the NBA and MeiGray Game-Worn Jersey Authentication Program as number AM014850. The player's jersey number is handwritten on the jocktag.